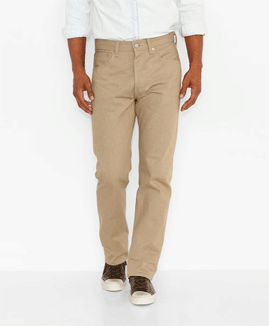 Want to buy Levis jeans at cheap US prices and save up to 50%? It goes without saying that American brands are cheaper in the US than anywhere else in the world. 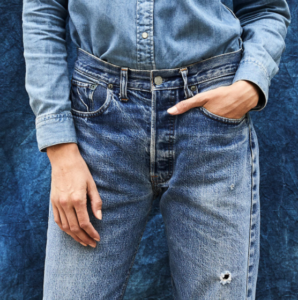 Levis is no exception. For those who haven’t been to the US, you may not be aware of how much you are being overcharged for those Dark Stonewash Levis 501 Jeans or that pair of Rinse 505's. For example, in Australia, a pair of Levis 501 jeans retails for $130.00 at shops like Just Jeans, Myer and The Iconic. In America, they would only set you back $47.00. Factor in the foreign exchange rate and shipping and you are still saving up to $40 a pair. The issue is that the US Levis store doesn't ship internationally so you won't be able to access the cheaper US prices yourself. Big Apple Buddy, your personal shopper, however can help you buy your Levis jeans direct from the official Levis USA online store and ship them to you in Australia, Austria, Belgium, Canada, Denmark, France, Germany, Hong Kong, Ireland, Israel, Italy, Japan, Kuwait, Malaysia, the Netherlands, New Zealand, Norway, Saudi Arabia, Singapore, Spain, South Africa, Sweden, Switzerland, Taiwan, Thailand, the United Arab Emirates and the UK. If you're interested in saving on Levis jeans, simply tell us which Levis style you're after (e.g. 501 Original Fit, 501 Shrink To Fit, 505 Regular Fit, 511 Slim Fit, 513 Slim Straight, 514 Straight Fit, 522 Slim Taper, 541 Athletic Fit) by filling out the form below. We'll get back to you with a free shipping quote within 24 hours! TIP: To save on shipping costs, purchase multiple pairs in the one order!